This fellow is the most unique full size free standing prop ever created. Hard Foam Prop with 360 degree view with a shivering, shaking, quivering, palsy-like movement. Props come to life in a way you have to see to believe. Powered by a 110 outlet. 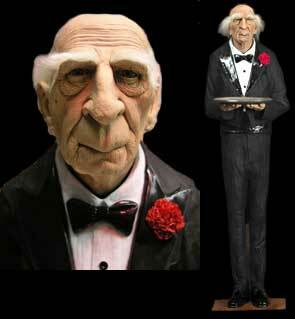 Dobson measures approximately 6 feet tall and is waiting to serve your guests!